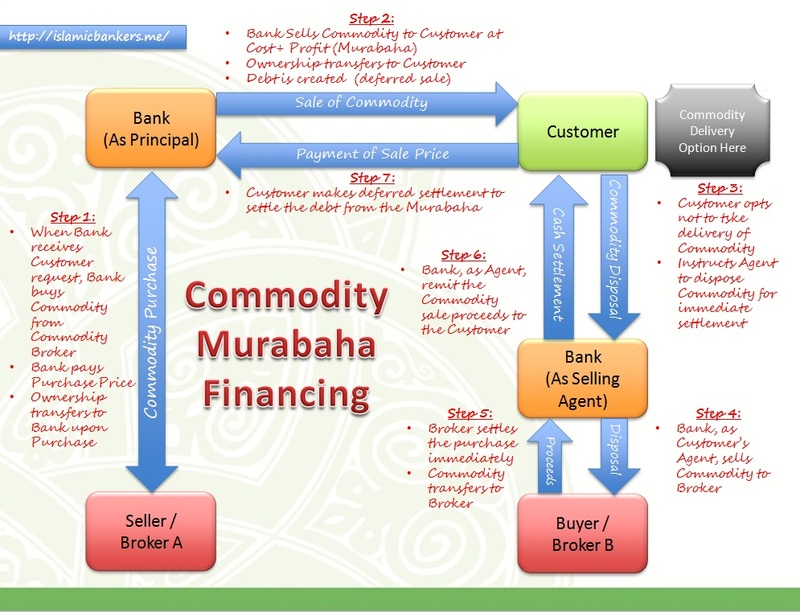 Information on Islamic Banking and Finance performance has always been an interest of many practitioners, myself included. Yearly we scour the best looking and informative reports on the internet that is full of data on the industry, especially when it covers the global markets as well. Sometimes we find an average one, but nowadays there seemed to be an abundance of available reports. Some have “good” contents, but when I come across “great” one, I am tempted to put it on my site. For future reference, off course! 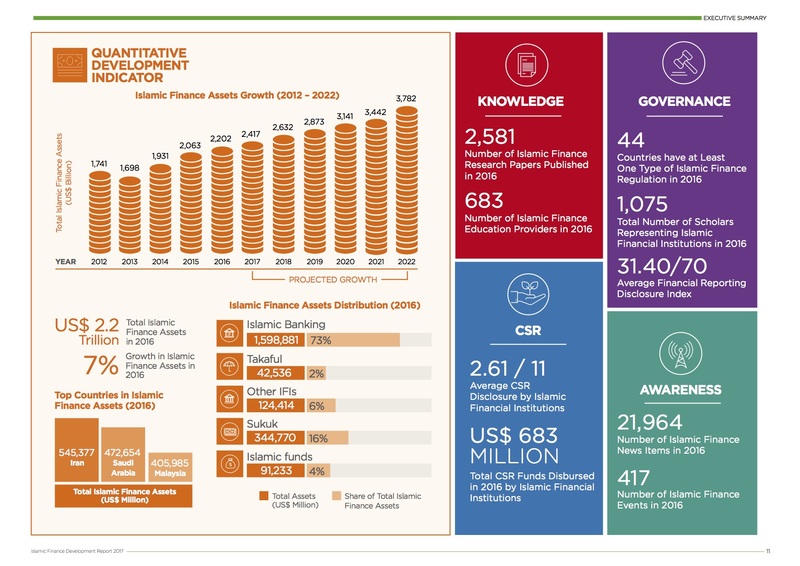 What we always love to find out is the performance of the Islamic Banking industry locally and globally, as it will provide reliable data to management on the latest trends that contributes to the bottom line. And presented in simple and clear infographics will only ensure some of the slides will be “cut and pasted” for speaker presentations, being quoted in many sessions. This reports provide all those opportunities. More interestingly, this report provides insights on what has been going on in the world. For example, items such as Value Based Intermediation (VBI) espoused by BNM was also mentioned. There is talk about Islamic Fintech, Awqaf Funds and other local going-ons, including CSR initiatives. 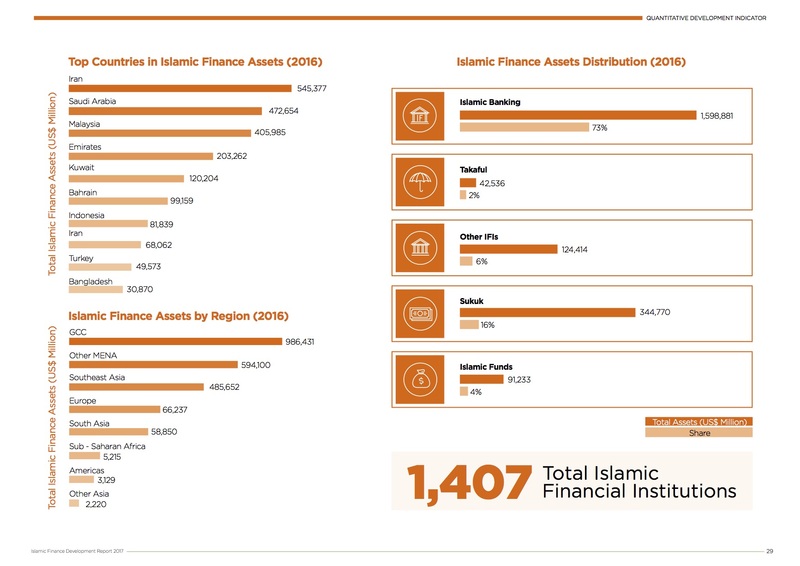 I would say this report covers many new areas of interest in Islamic Banking and Finance. 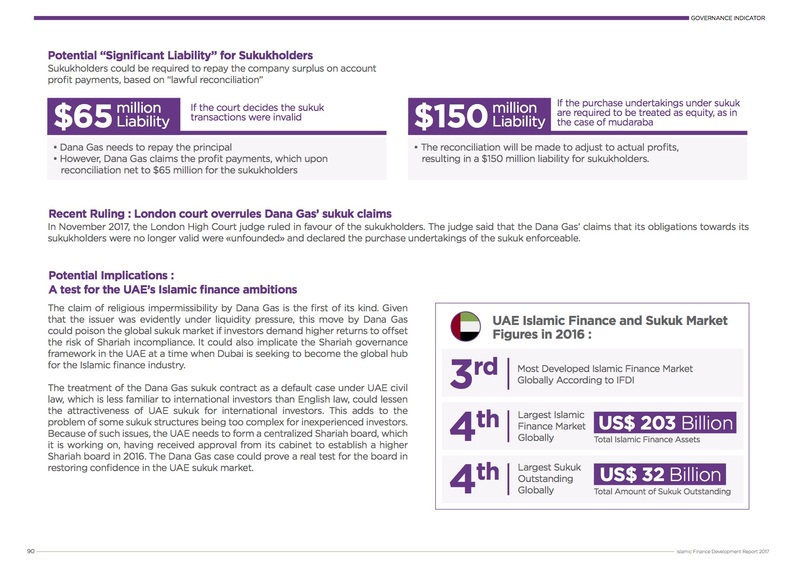 It also has a four-slide presentation on the most recent dispute on Sukuk involving Dana Gas. This was a real concern by many many parties over an extendable period of time. 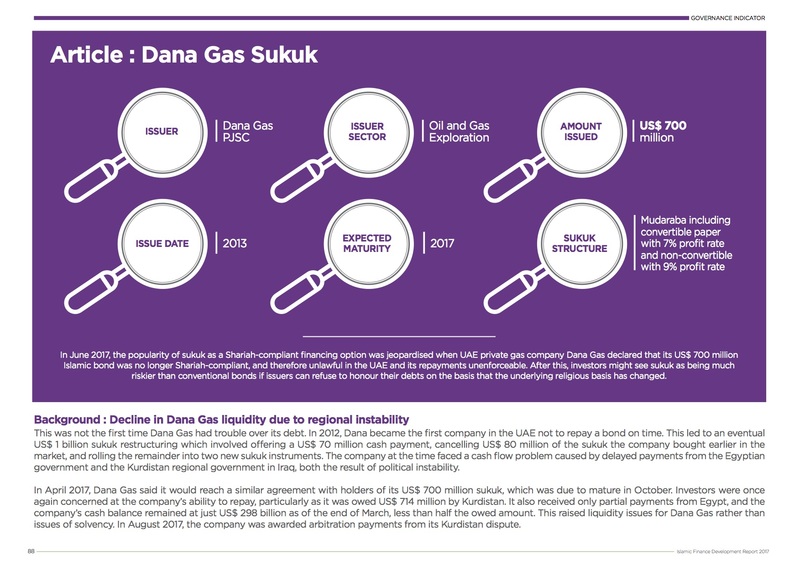 Nonetheless, this report make a good job summarising the key issues about the Dana Gas case, until its resolution. What a good write up for layman. I hope these kind folks don’t mind me posting their report on my site. As mentioned, this website was maintained aimed to be a repository of the many discussions on old and new issues. If you want to download the report yourself, click REPORT : ISLAMIC FINANCE DEVELOPMENT REPORT 2017. Also find other reports and this report in the Knowledge Centre.